A few years ago we took a trip to Canada…or as I like to call it, “Canadia”. 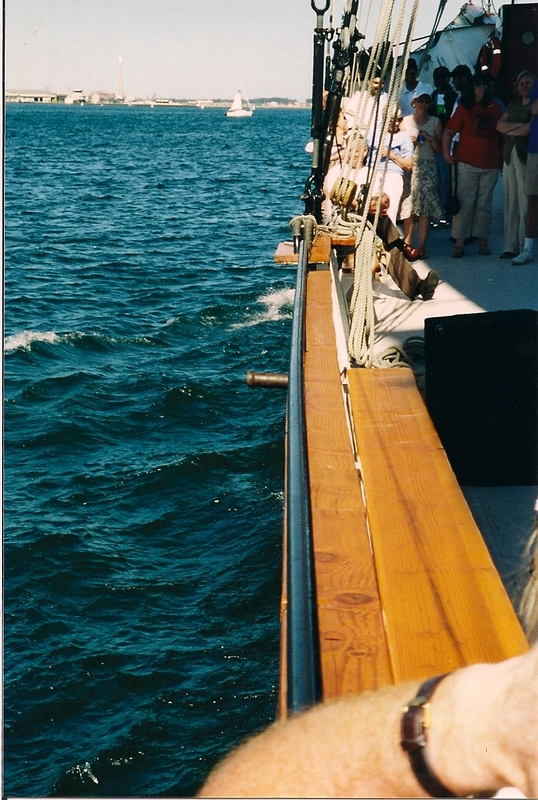 While we were there we took one of those harbor cruises on the beautiful schooner the Kajama. I will pretty much jump on any opportunity to go on a boat, and there’s something I love about touristy cruises. I’m not so cool that I’m above the tourist thing. Actually, I’m just not so cool. Anyway. So we were on the Kajama, having some cocktails, enjoying the sun. I got to help hoist the mainsail and for the record? It was heavy. Then I noticed the cannon. Who’s the cute widdle biddle cannon? The teensy, precious, ankle-sized cannon. It was perhaps the cutest thing I ever saw in my life. Until we set it up to fire on Toronto because then, quite frankly, it got even cuter. Toronto. Sitting there placidly, unsuspecting, the jewel of the Great Lakes. 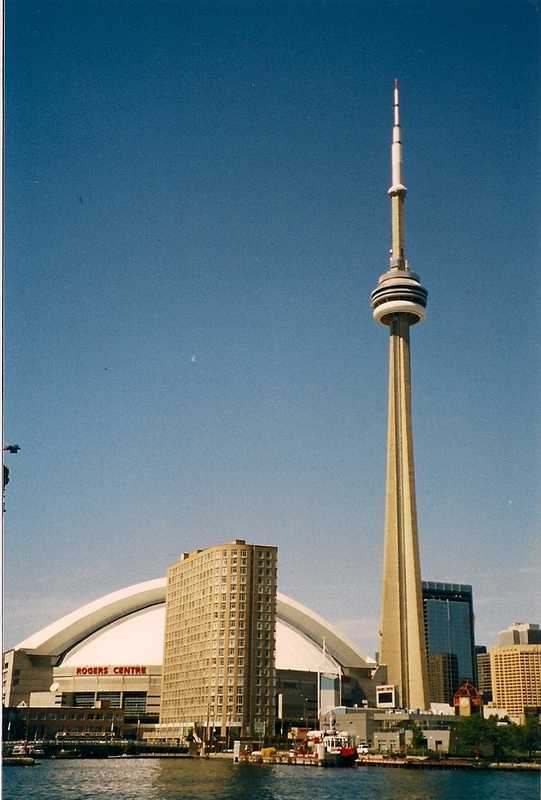 Torontonians would quake if they knew the threat that faced them. 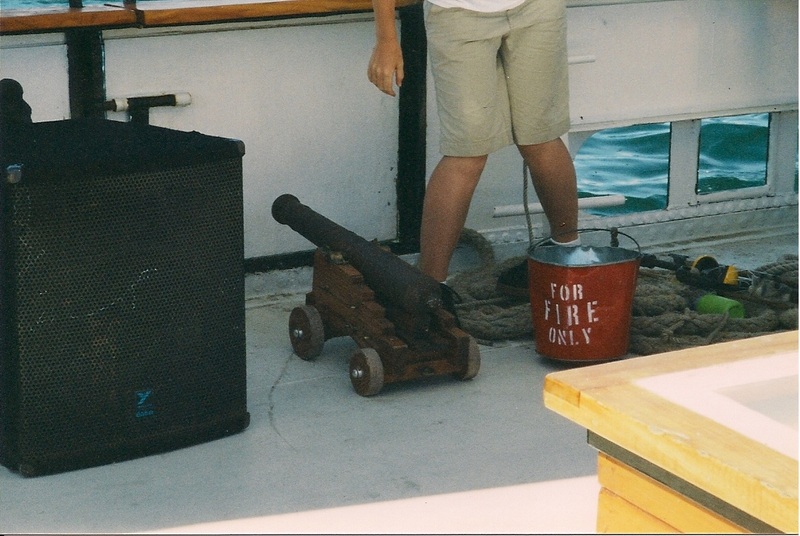 The Kajama crew wheeled that tiny cannon right to the gun port and packed it with some kind of mini-explosive. Not sure if we were treated to itsy bitsy cannonballs, but there was surely a Lilliputian gunpowder package wadded in there. The Terror of the Seas. I can honestly say I have fired upon Toronto. Thankfully, Toronto recovered from the onslaught. Terri! is there *nothing* you have not done. awed and amazed. because that? is a pretty big slip up on the peacemaking thang. only consider the ankles you might have damaged! LOL! Avast, ye lubbers! I was dizzy with joy when I realized I was going to take part in firing upon Toronto; it was all I could do to not find a knife to hold between my teeth. What an unexpected way to spend an afternoon… 🙂 p.s. Toronto was fine. thanks for Canadian cruiseships, Coca Cola cocktails & cannons! Not sure if it was Coca Cola cocktails; if I know myself at all it would be cabernet. 🙂 Or …ummm…cerveza! Oh jeez – that was you?! I forgive you, being the cool Torontonian I am, (even though you seem unremorseful). You are always welcome Next time, aim your tiny-cannon at our embarrassment of a mayor. Here’s a short introduction if you’re interested. I’ve heard about your mayor; sounds like a gem. Getting rid of bike lanes? I was impressed by how many bike lanes there are in Toronto. And screw him and his “I know how you feel because I had a broken leg” thing. So uncaring. So not reflective. So callous. I had a broken leg that I needed two operations to fix (broke it real good, I did) and the only thing it made me realize was just how hard it is to have to do things with a disability, and how grateful I was that my leg wouldn’t be broken forever.